No where to go but up? Possibly famous last(?) words as the Tavern put up a measly 1/6 in round 2 of the quiniela getting only Suwon’s win over Daegu correct. The K League 1 is proving more difficult to predict than originally expected. Perhaps a much needed morale-boosting round 3 is in the cards? (Work is slaughtering me atm so this one will be short). Rules stay the same for the quiniela. 1 = home win; X = draw; 2 = away win. Incheon claimed a big scalp (by K League standards at least) in knocking off Jeonbuk last weekend. Daegu has struggled to get going. Incheon win. Sangju didn’t look great against Gyeongnam in the opener, but were much better against (admittedly) a B-side Ulsan at the Munsu in round 2. Where does Gangwon fit in between those two is still a little in the air (I’m still not sure just how good Gyeongnam are). Certainly they should prove a stiffer test than what Ulsan sent out, so a draw seems a fair result. In years past this would easily be the match of the weekend (although to be honest it probably still is – by a hair), but Seoul has seemingly fallen so far off the pace this season this fixture has lost some of its luster. Jeonbuk suffered a shock loss last weekend against Incheon, but should be more up for this one against Seoul, and as such should keep the pressure on Hwang Sun-hong. As long as the defensive mistakes that have popped up in the early matches don’t sink them that is. Two sides that have largely been struggling to balance their domestic and international schedules. Ulsan probably the better side, but if they rotate again then Jeju will have a chance. Pohang has been surprisingly decent to start things off with wins over Daegu and Jeonnam. Suwon has been oddly disappointing – at least from a league perspective – with a poor loss to Jeonnam and then a slightly fortunate win over Daegu. In both matches they didn’t impress. So, on that note we’ll go with the more in-form Pohang side to take the points. 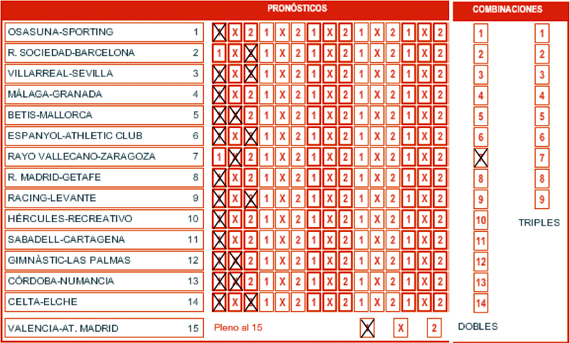 To participate in the quiniela, just copy and paste the table below in the comments. Weekend Listings: Son v Ki in the FA Cup + ¿Korea At the Copa America?